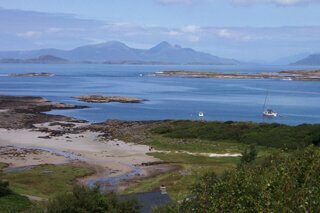 Self catering holiday home rentals on the peaceful, remote peninsula of Ardnamurchan. 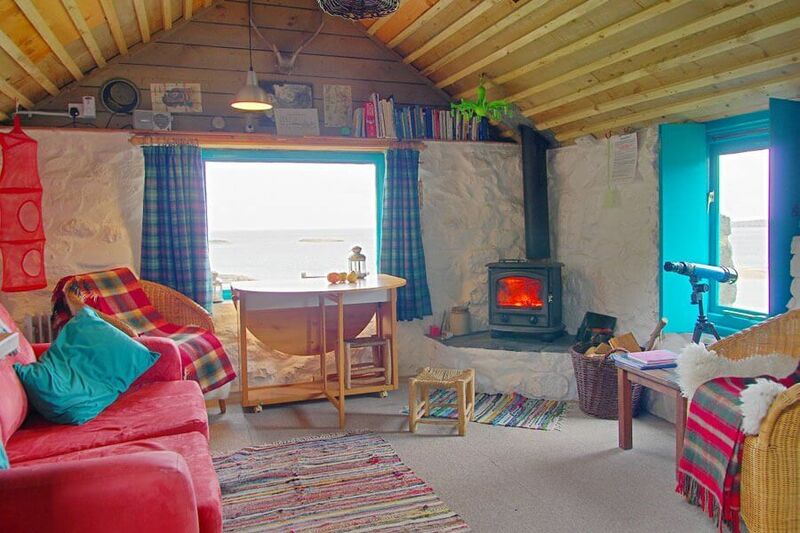 We have carefully picked cottages idea for a family holiday, romantic getaway, large groups, cottages that are dog friendly, they are coastal cottages with sea views, or you to rent, in the beautiful Ardnamurchan peninsula on the West Coast of Scotland. Rated by Tripadvisor as excellent. A couples retreat. A romantic location away from it all. We have a lovely selection of cottages, for the prefect break. If you’re looking for a self-catering cottage for a family or large group, check out our curated selection. The water is clear and the view breathtaking from our beach side cottages. Don’t leave your dog at home, bring your it along with you to one of these pet-friendly cottages. Enjoy the warmth of an open fire or wood burning stove in your cottage. 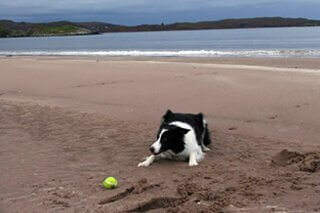 We are a small, family-run business which was started in 1978 by my mother Pamela Campbell. Our office is in Kilchoan Art & Craft Café at the back of the Steading, which is located in the crofting community of Kilchoan. 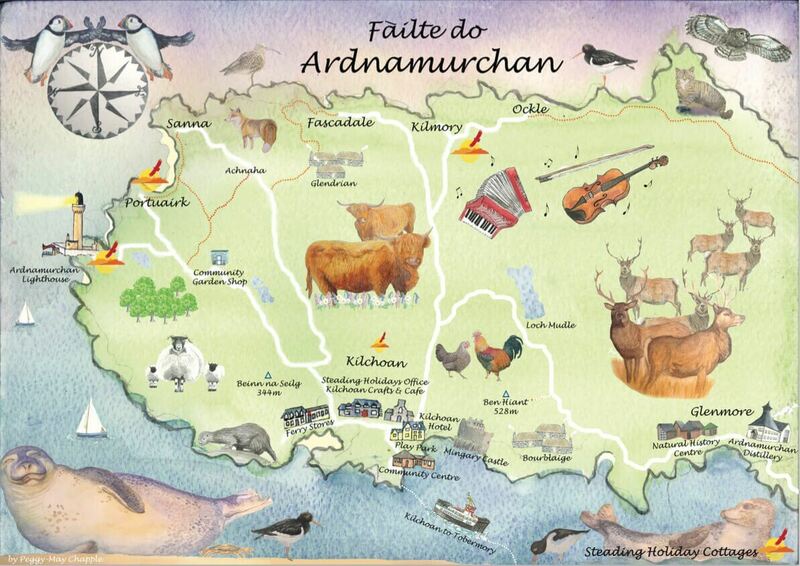 Having lived here since 1980 we are still amazed and inspired by the beauty of Ardnamurchan and have a wealth of local knowledge which we love to share. We know all the holiday cottages very well and can help you find the best accommodation to suit your needs. Forged from the molten rock of an ancient volcano, Ardnamurchan is now a peninsula of wild and unforgettable beauty, its scenery ever-changing with the seasons. With majestic mountains and ancient woodland, fringed by untouched, spectacular beaches, it’s impossible not to be captivated by the spirit of Ardnamurchan.